Cash for Cars in Minnesota - We Buy Cars Fast! Are you missing out on the Vikings game trying to sell your car? Is your phone constantly ringing with calls and texts from strangers? If so, then perhaps you need to find a buyer who can make this quick and easy so you can get back to the game. Here at CarBrain, we know how important your time is and we aren’t going to waste it. With our cutting-edge price engine, we’re prepared to get you cold, hard cash in your pockets in a quick and convenient way. 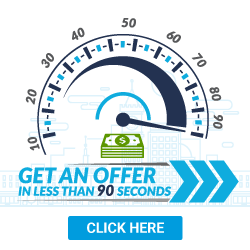 Most makes and models receive an offer in just 90 seconds! 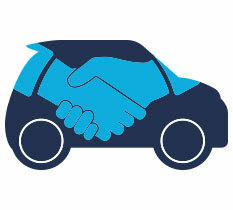 If you agree to our offer, we can have your payment delivered and have your car picked up FREE in just 24 to 48 hours! Get started today! Click here to get an offer. CarBrain has coverage throughout most of Minnesota. Like the new Vikings’ US Bank Stadium, CarBrain is here with the doors open for you. We can pick up your car for FREE from your home, office, the repair shop, the tow yard, or even from a family member’s or friend’s house. With our tow partners, we service Minneapolis, Saint Paul, Duluth, and many other cities near you. Our process is quick and easy. Simply gather some accurate information about your car and submit your vehicle through our price engine. Click here to get started. Who Will Buy My Car In Minnesota? Selling a car in the North Star State is a tough task to manage. Finding the right buyer can take weeks or months, and you might be entertaining a whole lot of strangers calling you at odd hours. Imagine taking valuable time out of your day to meet with these buyers just so they can haggle down your fair asking price into a bargain for themselves. If you're thinking about trading in your car in Minnesota, then just know most of the time a dealer has no interest in purchasing your car outright. Typically they would only buy your car if you're buying one from them. Make sure to look over all details of the deal carefully. Dealers can manipulate all the numbers in a deal and make all that extra money you think you're getting for your trade into a back-end fee somewhere else. If you're ready to sell your car the smart way and get some cash in your pockets, then head over to CarBrain! We’re here to help you sell that car in a fast and simple way. We’ve developed an interactive pricing engine that can make an offer on most make and models in just 90 seconds! We'll buy your car even if it's in less- than-perfect condition! That includes cars damaged from collision, ones that have mechanical issues, cars that don’t run, and others that have theft, vandalism, or other damage. If you agree to our offer, we’ll deliver the payment and tow the car for FREE in just 24 to 48 hours. Don't wait around for the right buyer to come to you. CarBrain is ready to buy your car. SImply click here to get your no-nonsense offer. In What Areas of Minnesota Do You Purchase Vehicles? Making sure you sell your car to the right place at the right time is essential to get the best offer. Most car buyers in the business today don't go the extra mile for you. They will make you take the car to them, and that can cost you hundreds in just towing alone if your car isn't running. Other buyers may go to you, but they’ll deduct the towing cost from the payment. You need a buyer who can act fast and help get you to get some cash or that old or unwanted clunker. CarBrain is the smart way to sell your car! Unlike the competition, we’re not going to waste your time or make you tow your car around, spending all the money you could otherwise pocket. If you agree to our offer, we will go to you and pick up the car for free. We’ll ego further yet, and pick up the car from your home, workplace, family member’s or friend’s house, or even the shop or yard where it's located. The process to sell your car doesn’t have to be tedious or complicated. We have developed a cutting-edge price engine just for you. It’s designed to give online offers for most makes and models in just 90 seconds! We have simplified this down to an easy and interactive step-by-step process. To get your quick and easy offer today, just click here! How Can I Sell My Car Fast In Minnesota? Here at CarBrain, we pride ourselves in being the smart way to sell your car. We’ve taken the long and difficult process of selling your old, unwanted, or damaged car and turned it into a fast and simple three-step process. Selling your car can burn up all your time. You don't want to meet with strangers either, especially not go back and forth with frustrating haggling games. CarBrain won't waste your time because we’re the smart way to sell your car. CarBrain can get you quick and easy cash for your damaged or junk car. Our process is quick and easy with most cars receiving offers in just 90 seconds. You’ll see why we’ve been recommended by thousands of customers. Just click here to get started today. We provide free towing to any of our Minnesota locations. What should you know before selling to a junkyard or private buyers in Minnesota?